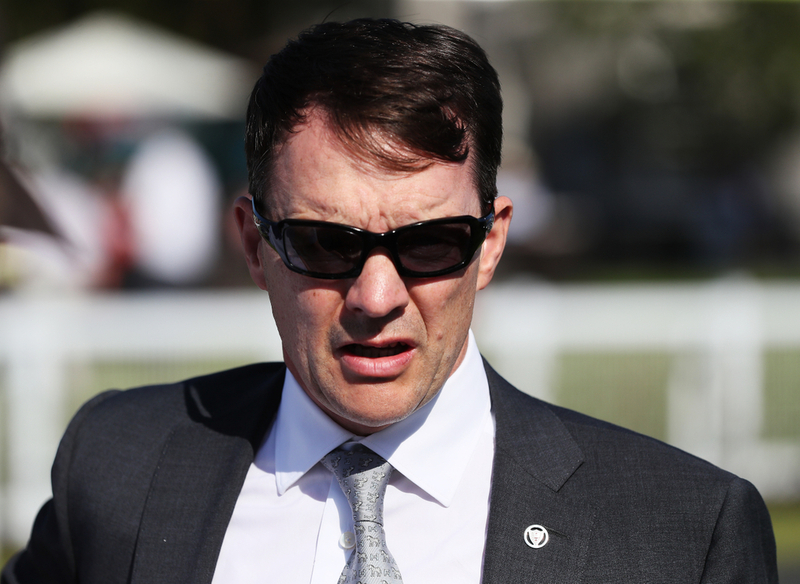 With the flat racing season getting back underway last week, it could take no time at all for trainer Aidan O'Brien to unleash some of his big guns at Leopardstown in the 1,000 and 2,000 Guineas trials. Ten Sovereigns who landed the Group 1 Juddmonte Middle Park Stakes on his last outing on a racecourse and Magna Grecia who laded the Grade 1 Vertum Futurity Trophy last season look to be the Irish trainers leading hopes for the 2,000 Guineas this season. They are both entered at Leopardstown on Saturday in the Listed Ballyinch Stud contest over seven furlongs which is the trial for the big race at Newmarket on Saturday 4th May. It is not set in stone that the pair will be run so early on in the season but nevertheless the Ballydoyle trainer has seven horses entered in the Listed contest and will look to set a marker for dominance in this year's big Group 1 contests. The main threat to O'Brien's brigade is the Kevin Pedergrast trained Madhmoon who on both of his starts last year looked to be a smart two year old winning both his starts confidently. Ten Sovereigns is unbeaten on all three starts so far in his career and will look to extend that if part of the final declarations on Thursday morning. Off the back of his Group 1 win at Newmarket in his last run of last season the three year old is now the second favourite for the contest at 8/1 behind the evens favourite Too Darn Hot from John Gosden. Magna Grecia is just in behind his stable mate in the 2,000 Guineas market at 10/1 in what will be the first big Group 1 of the flat season and give us an indication as to who has grown and matured during the winter off season. The 1,000 Guineas trial for the fillies comes the race after the Listed contest and see's O'Brien dominate the field again with nine out of the 21 possible runners set to go to post in the Group 3 race. These include Group 1 winning Fairyland, Smart filly Secret Thoughts and Bet365 Fillies Mile second, Hermosa. O'Brien has one of his strongest teams of youngsters in recent seasons and says a lot after what he has managed to accomplish over the last few years.